We are leading ISO consultants India, offer economic services for varied international certifications. With the years of expertise, we have built unrivaled reputation for our efficient services beyond compare. Food safety management is the matter that is directly related to the health of the people. So it is somewhat sensitive to administer all criteria about food safety. At our services in Ahmedabad, India. Dealing with many production procedures and certification requirements, we are been able to support the need of all food chains. HALAL certification is the certification provided by HALAL trust, a non government organization. Samrat Associates is the leading firm offering expert services for system certifications, product certifications and corporate training. 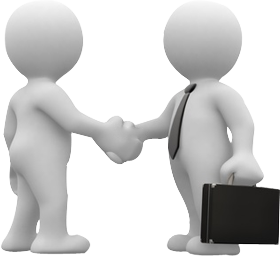 It is a group of foremost management consultants having specialization in their vicinity. Here we provide cost effective certification services with years of expertise. Our company incorporated with the goal to offer qualitative certification services with economic way. We are please to introduce ourselves as a leading group of professionals offering level best certificate services for international standards. We guide the organizations to attain cost-effective certification. You can take benefit of our proven systems and can save your fund as well as time. Our team is a group of experts from varied industrial environs. We provide tailor made services for your company and help to attain the required standards. We have simplified this complicated process. Quality manual, forms and procedures are provided with easy to use and edit format of Microsoft word and excel. Our documents help many industries for successful registration of latest standard of ISO 9001:2008 Certificate. Our services are highly preferred in Dubai, Oman, Bahrain, Qatar, Saudi Arabia, United Arab Emirates, Kazakhstan, Kenya and many more countries. We offer best support system for the clients globally. Our best services are ISO 9001: 2008 Certificate, ISO 22000 Certification, and many more services. Samrat Associates is a very popular name in offering ISO Consultant Services and offers wide range of ISO certification Consulting services. As a leading ISO Consultant in India we deliver numerous services to our clients like ISO 9001: 2008 Certificate, ISO 9001 Certification, 5S Certification and many more. We always try to surpass the expectation of our valuable client with our value added services in all the areas. We “Samrat Associates ” are also involve in providing certificates to the food offering companies which ensures that the company is certified and implemented a system for the food safety management which includes processes, activities, products and services in line with the organization’s food safety policy. Lean Management Training is very important for customers. We here offer training for many certificate programs with practical approaches. People who takes training for any of the certificate courses will be very lucky as they will be allowed to interact with the people who are practicing the same program. Hence, they will get the opportunity to share there thoughts and experience.